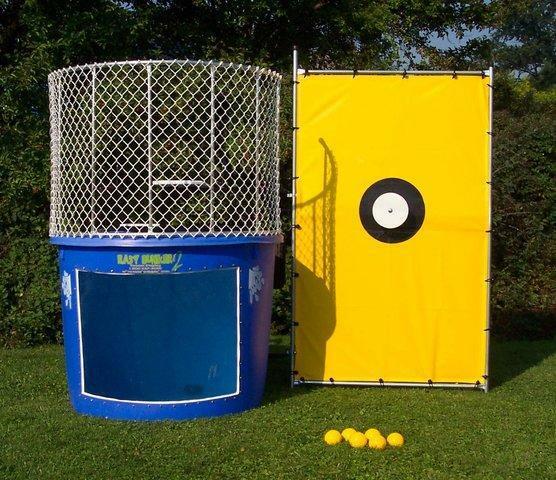 The dunk tank is a classic crowd pleaser. Hit the target and drench your friends (or foes). Comes with three balls. PLEASE NOTE: This item is typically delivered the day prior to your event and picked up on the day after your event. If you need same-day delivery and pick up, please call our office prior to reserving as we may not be able to accomodate same-day delivery and pick up. When reserving, please just input your party date and time.